Exceptional home located in Old Towne Katy! Open concept kitchen that boast Granite Counters! Two story Family Room with generous natural light! Master suite on the first floor with great closet space! Master bath features double sinks and extra large shower! Secondary bedrooms are spacious with ample closet space. Sizable Media Room! Neutral colors throughout! Home is still like NEW! Beautiful home on corner lot! This one story boast wood laminate flooring and neutral paint throughout, making it easy to match and décor! The open concept kitchen offers granite countertops, island and generous cabinet space! Breakfast bar seamlessly adjoins the kitchen to the family room! Sizeable master suite! Master bathroom features double sinks, soaking tub and separate shower! All this in a peaceful community! Unique 1.5 story home with 3 bedrooms, 2 bathrooms and a STUDY! High ceilings enhance the spacious living room! Tastefully updated with granite counter tops and stone backsplash! Covered back patio overlooking large backyard! Great location! This home is professionally managed! Make your appointment today! Stately home situated in prime cul-de-sac lot! Foyer with grand staircase! Crown molding elegantly appointed throughout the house! Dual sided fireplace! All rooms are spacious and offer generous closet space! The 5th bedroom and game room could also be used as in-law suite! Backyard with pool and hot tub ready for your enjoyment! 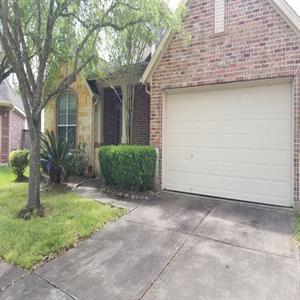 Beautiful 4 bedroom 2.5 bathroom home located in the desired area of Magnolia Creek CCISD. Open floor plan with study and dining room area. Kitchen over looks living-room with fireplace and built-ins. Huge island in kitchen with plenty of cabinet storage space. Large master bedroom and en suite with walk in closet, and separate shower/tub. Pets are accepted with a $300 pet deposit per pet. Max 3 pets with breed restrictions. This home will not last long! Give me a call to schedule a viewing today! Large home, conveniently located with easy access to 1960! Light and bright two story family room! Kitchen appointed with granite countertops! Formal Living Room and Dining Room! Master bedroom on the first floor, with bay window! Master bathroom features jetted corner tub with separate shower! Huge gameroom! Home flooring and paint is very neutral! Lush landscaping! Must see! Spacious 3 bedroom 2 bathroom home located in Lakecrest Forest. No carpet throughout entire home. Great kitchen that over looks into the living-room from breakfast bar. Double sink, with separate shower and tub in master bathroom. Nice size backyard. Easy access to both 99 and I-10 highways. Pets are accepted on case-by-case basis. There is a $300 non-refundable pet deposit: 3 max with breed restrictions.